Appearing on this episode of Money Making Conversations is Stephen A. Smith - Host of ESPN’s “First Take”, NBA & Boxing Analyst, ESPN Radio Host and Journalist, David and Tamela Mann, "Us Against the World" - Mann Family Tour, Chef Jamika - Celebrity Chef, Co-Host on Food Network's "Let's Eat," Charis Jones - Owner of Sassy Jones Boutique, a multi-million dollar accessory brand. 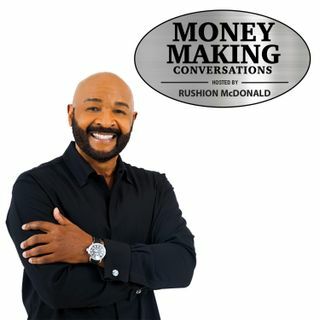 Each Money Making Conversations show hosted by Rushion McDonald is about ... See More entrepreneurship and entertainment. We provide the consumer and business owner access to Celebrities, CEOs, Entrepreneurs and Industry Decision Makers. They in turn deliver information about career planning, motivation, financial literacy and how they lead a balanced life.